Tractor racing is a challenge to routine. This is what, in principle, can not be. After all, the tractor is not a racing car. In overcoming, struggling on the edge of opportunities participants and spectators of the competition find parallels with their daily lives. We are in Russia and our sport is purely Russian. Nowhere in the world like this no more! The racers take the start line in pairs, threes and even fours! The most difficult route, dizzying jumps, water obstacles, risky areas. Tractors stand on their hind legs, jump in height, enter the turn on two wheels, accelerate to 100 km/h. Speed, drive, adrenaline ... Who said that tractors do not fly? 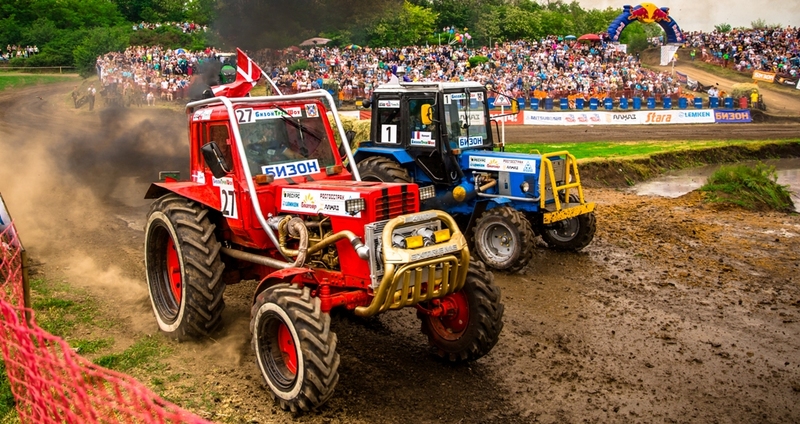 On the 2 of June will become the center of tractor sports for the 17th time in the Rostov area. Bizon-Track-Show will bring together three dozen brave riders, thousands of fans and millions of viewers! To compete allow tractors with an engine capacity of up to 5 liters, equipped with special frames and seat belts. Everyone has a chance to win and glorify their farm! Four finalists will receive new tractors and agricultural equipment as a reward. The main prizes for farmers will provide the Government of the Rostov region. Valuable gifts prepared for all participants of the competition. Between the stages of the audience await amazing technical shows. Participation in competitions and entry for spectators is totally free. All on the Bizon-Track-Show 2019! 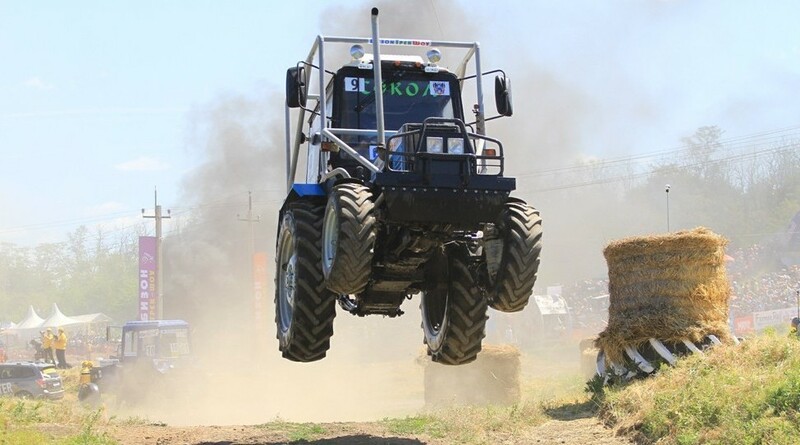 The aim of the tractor races is to popularize the profession of a machine operator, to return respect to rural work, to attract young people to the agro-industrial complex. Since 2002 has been held Bizon-Track-Show. 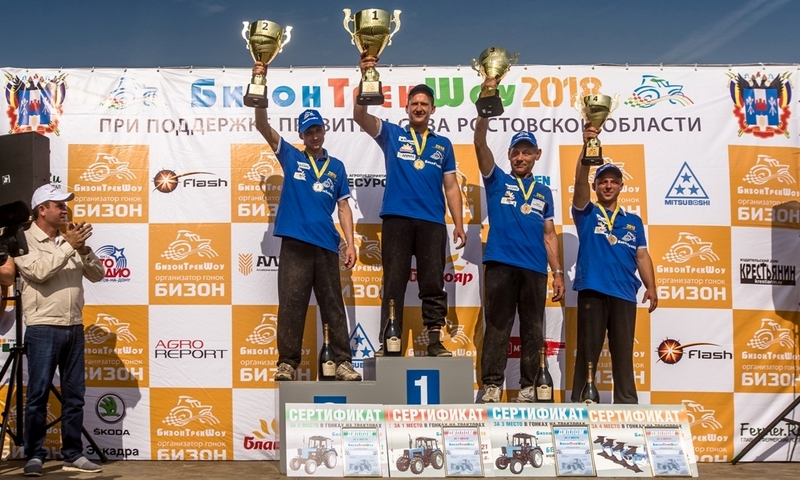 During this time were donated to the participants 33 tractors and dozens of agricultural implements, this competition became a tourist attraction and also a visiting card of the Rostov region. The magazine "Around the World" included tractor races in the list of miracles that you need to see with your own eyes (№12, 2016). 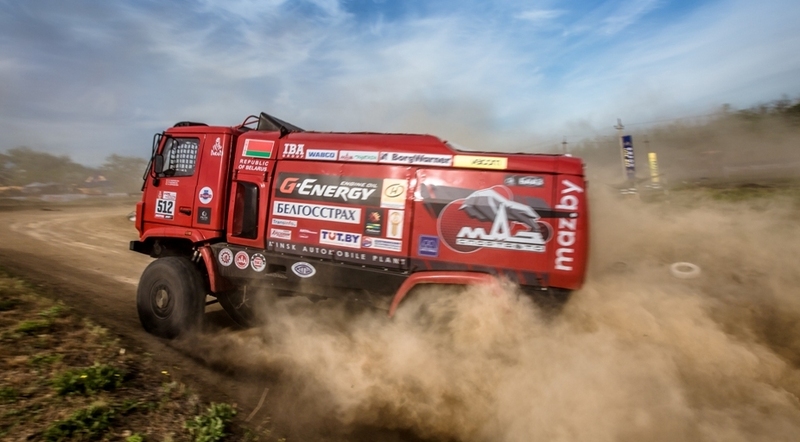 Competition address: Rostov region, Myasnikovskiy district, 4 km of the Rostov-Taganrog highway..